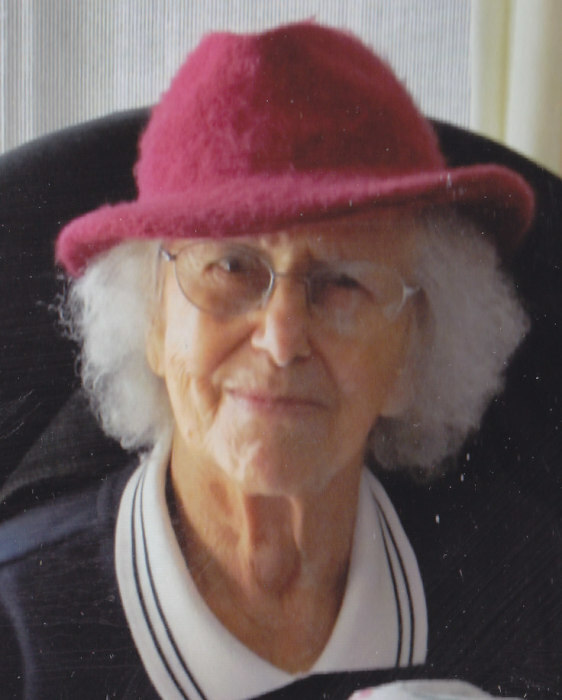 Theresa (Yost) Hartman, 98, of Benton died Saturday evening, November 10, 2018 at the Gardens at Orangeville. Born April 18, 1920 in Bloomsburg, she was a daughter of the late Nevin and Anna (Pennington) Yost. She was preceded in death by her husband of 48 years, Robert C. "Bob" Hartman, on December 16, 1994. Mrs. Hartman was a graduate of Benton High School and Bloomsburg State Teachers College. She taught fifth grade in the Benton Area School District for many years until her retirement. She was a member of the Waller United Methodist Church, a member of the Red Hat Society, a charter member of the V. F. W. Ladies Auxiliary and a former member of the Order of Eastern Star. An avid sports fan, she was a huge NY Jets and NY Mets fan. She was also a world traveler, visiting every country in the world. Surviving are her two sons: J. Nevin Hartman, of Benton and Robert D. Hartman, of Rochester, NY; a daughter-in-law, Susan Hartman, of Benton; four grandsons: James Joseph Hartman, Jarad Hartman, Brandon Hartman and Daniel Hartman; a great grandson, Easton James Hartman and two step great grandchildren: Tyler and Taryn Stone. She was the last member of her immediate family. Along with her parents and husband, she was preceded in death by a son, James K. Hartman on December 18, 2009; two brothers and a sister: Penn Yost, Drew Yost and Marcia Yost.